Lorenskog local authority has just granted planning permission for our scheme entitled ‘Winter Village’ in Lorenskog, Norway. When built ‘Winter Village’ will become the world’s largest indoor ski arena. 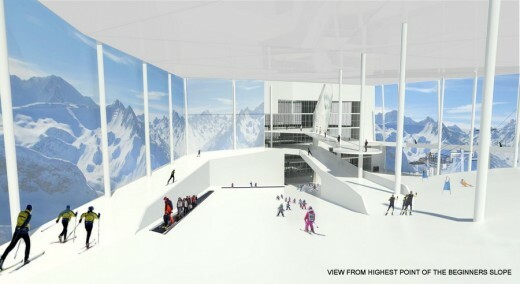 Designed for both cross country, free ski and downhill skiing, it will also be Norway’s first indoor ski arena. The ski resort in Ødegården is situated next to Lørenskog train station and is planned to open before 2017. With the nearest indoor ski centre located across the Swedish border in Torsby, Selvaag’s ski arena will give access to skiing in summer for local people as well as elite athletes who need all year round training locations for skiing. 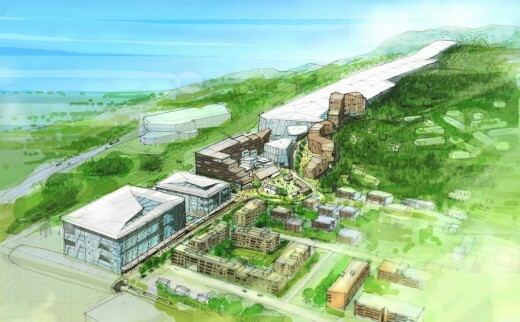 This ground-breaking 140,000 sqm scheme will house a 37,000m2 ski resort. The cross-country trails will now be built over three floors giving skiers a total of 3,000 metres of cross country skiing. 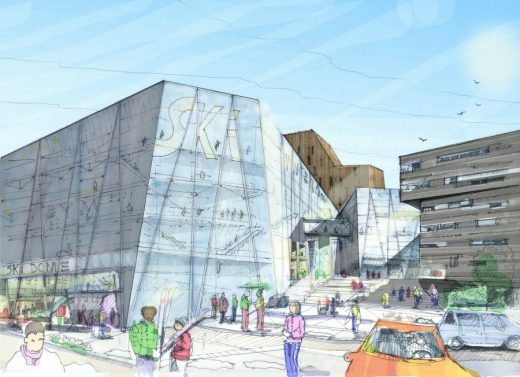 The facility will also include a conference hotel with 350 rooms, a service centre for skis and equipment, service rooms for clubs and teams, classrooms and offices, as well as commercial premises, and a sports academy for Norwegian ski sports. Chapman Taylor has designed the masterplan in collaboration with the renowned Norwegian architect Prof. Thomas Thiis-Evensen. We were selected by the developers due to Chapman Taylor’s world-beating masterplanning and snowdome design expertise.